Filter and download the subscriber info you need. Open your downloaded CSV file in Excel or other spreadsheet program to analyze your subscriptions. 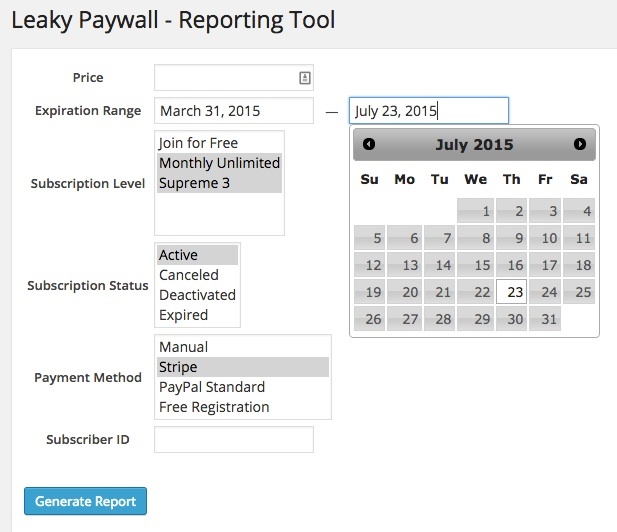 This free add-on for Leaky Paywall will let you filter and download (CSV) the subscriber info you need. Open up your downloaded CSV file in Excel or other spreadsheet program to analyze your subscriptions. Get a handle on your subscribers.